This national park is located in the north of the Slovak Ore Mountains and protects the area of the Slovak Paradise Mountain range. Within this park there are eleven national nature reserves and eight nature reserves. 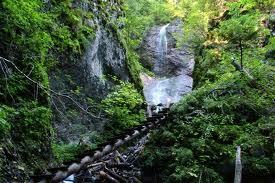 For visitors there are a lot of hiking trails all of which are equipped with ladders, chains, and bridges. It also includes around 350 caves but the only one open to the public is the Dobsinska Ice Cave which has been a UNESCO World Heritage site since 2000. The ice cave includes such wonders as ice falls and ice stalagmites. 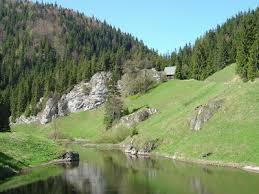 Slovak Paradise National Park is lovely and has 300 km of marked trails which stretch all through it. For visitors it is like stepping into paradise and includes forests, wide meadows and plateaus, canyons, gorges, underground caves and waterfalls. Among the most popular nature trails and tourist points are Prielom Hornadu where Hodnad River has created a beautiful canyon, Tomasovsky view, Klastorisko offering the ruins of the Carthusian Monastery to explore, Kysel, Sokolia doline, Velky and Maly Sokol, Piecky and Sucha Bela. Sucha Bela is a wonderful hike. Sucha Bela gorge has marked paths which go through the national park and takes visitors past waterfalls, rock windows, cascades, ladders, natural jacuzzis and even the ruins of the Carthusian Monastery. Your hike begins in Podlesok and goes one-way up the stream. When you reach Klastorisko cottage you can rest and refresh yourself with cabbage soup and some other food. The tour takes four hours. 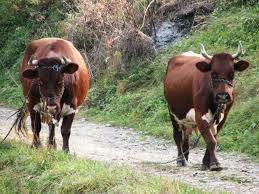 You will also enjoy taking an hour long walk to Geravy. Here you can sit outside or inside depending on the weather at the Geravy Hotel and have a drink of Kofola which is the native alternative to coke or have a beer. Visitors can also enjoy horseback riding across the plateau. There are many notable and rare animals among which you could see the brown bear, red deer, wild boars, wolf, lynx and the otter. There are also birds such as the Golden Eagle, Common Kestrel and the black stork. The area is covered with Norway spruce, European beech, fir, larch and Scots pine.